Precise thickness specifications are assigned for the manufacture of rubber film which is rolled using calender rollers. Random-sample manual measurements, as previously carried out, are no longer sufficient for today’s demands on quality assurance. Consequently, a system with three fixed tracks has been adapted for in-line inspection of the thickness. For each track an eddy current sensor of Type U6 is built into a jockey follower system which measures against an stainless steel roller. Controllers of the range multiNCDT series 100 are employed for the evaluation electronics. 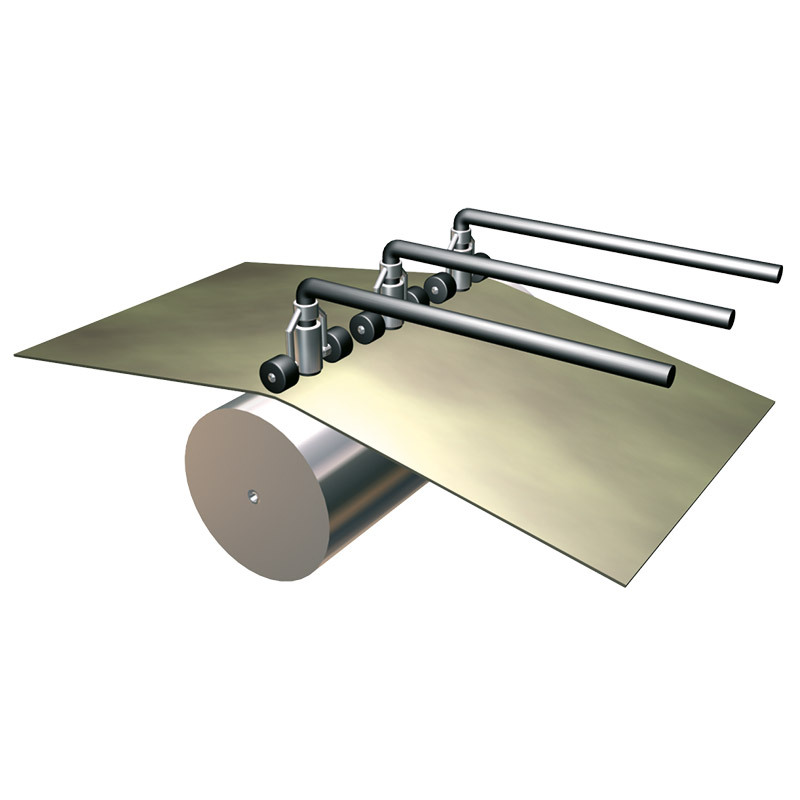 The stainless steel roller represents the reference system for the measurement.